NC Scout of the Brushbeater blog will be holding his RTO Basic course again in Hamilton, MT (south of Missoula), on June 15 & 16, 2019. This is the only date on the calendar in 2019 that is in western USA. Contact brushbeater@tutanota.com for class inquiries and to register. The Radio Telephone Operator (RTO) Course is designed to take the individual of any and every experience level and teach them the basics of effective small unit communications in a field environment. Students will learn what it takes to set up a plan and implement communications in an improvised setting be it anything from a retreat to a security patrol to regional communications networking groups. A heavy emphasis of the course is on improvisation and antenna building- each student will construct antennas from improvised materials which they keep. This is NOT a “ham radio” class. No equipment or previous experience is required; only a notebook and a good pair of shoes. It is the only course of its kind offered anywhere, in a friendly, laid back and respectful environment. Two day course will culminate in an field training event running a TOC station and Hide site in the field. Students will each build an antenna and demonstrate competency in team communications basics during the field exercise. Amateur Radio license qualification is helpful, but not required. This is NOT a ‘ham radio’ class but each student will come away with a basic understanding of a team’s communications needs in a tactical environment and how to best meet them under less-than-ideal circumstances. No equipment is required for this course; however, if students want to get field practice with their own gear, it is highly encouraged but done so at their own risk. Instruction is completely off-grid. Posted on April 22, 2019 April 17, 2019 by lvassemblyPosted in Informational, TrainingTagged brushbeater, communication, montana, nc scout, radio, rto. Posted on April 21, 2019 April 19, 2019 by lvassemblyPosted in InformationalTagged Christ, easter. 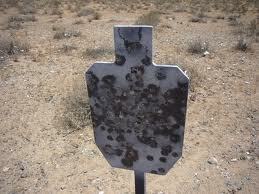 Combat Studies Group has an article up about how to improve your pistolcraft. 1) All things being equal, it takes more skill to be consistently accurate with a pistol than with a rifle – the rifle having the benefit of a longer sight radius (or optics) and the inherent stability that comes with a stocked firearm. (Not to mention the weight-to-trigger pull ratio disparity with a pistol). 2) Unless you are a rifleman deployed on the battlefield, you are going to spend the lion’s share of your time armed with a pistol. Walking through the local supermarket with a rifle slung across your chest tends to get the locals excited. 3) Pistols fire a relatively weak projectile compared to rifles in general and thusly, may require more follow-on hits to get the job done; making recoil management, sight tracking and reload skills a must. Click here to read the entire article at CSG. Posted on April 17, 2019 April 17, 2019 by lvassemblyPosted in TrainingTagged accuracy, combat studies group, drill, firearm, pistol, shooting. The Center for Self Governance will be holding an online version of Foundational Civics (formerly Level 1 and Level 2 separate classes) on May 28th and 30th, 2019. Cost is $100 for first time students. In the first half of class, the student compares and contrasts the theoretical concepts of power, government, and control. The student will learn different systems of government based on those concepts. The control concepts of Self Governance and Centralized Governance introduces the student to the experimental role of the governed within the U.S. mixed republican system of government. In the second half of class, the student is introduced to the design elements of the U.S. mixed republican form of government. They will learn the logic behind and current structure of separation of governments (i.e. Federal v. State), the separation of powers (i.e. executive v. legislative), and the separation of controls (i.e. Sheriff v. Coroner). They will explore the inter-relationship between a selection of elected, appointed, and employed governors and influencing (controlling) those governors. The student completes all training exercises before entering the Applied Civics program. This level and associated exercises establish the student’s basis of authority from which they will put self-governance into practice in the remaining training levels. This is an interactive class and we look forward to hearing from you. You must attend the full 4-5 hours to complete the course, as well as associated training exercises, to graduate Foundational Civics. Training cannot be taken out of sequence. Students will need to complete all training exercises (#1-#7) prior to scheduling the Level 3. Posted on April 17, 2019 April 17, 2019 by lvassemblyPosted in TrainingTagged center for self governance, foundational civics. 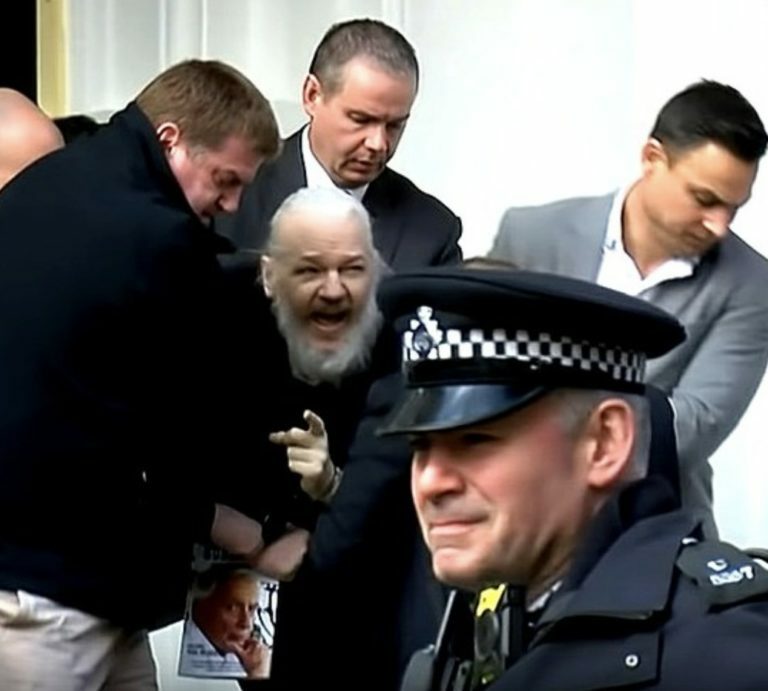 Michael Krieger at Liberty Blitzkrieg has a nice article summarizing the ways in which the recent arrest of Julian Assange of Wikileaks fame is a bad sign for our liberty and western civilization. A key quote is this: Americans are being taught, by repeated example, that there exists two main classes of people in this country. Those aligned with — in one way or another — the national security state, and those who are not. If you’re aligned with the interests of empire and are somewhat prominent, you will never suffer consequences for any of your actions. Your career will flourish irrespective of how wrong you are, how many countries you destroy, how many civilians you murder, or how many lives you ruin with fraud and corruption. You are for all intents and purposes a member of the imperial royalty, and as such, completely and totally above the law. This isn’t speculation or exaggeration, it’s demonstrably provable reality. We’re being gradually conditioned to accept a society comprised of rulers and the ruled, of masters and servants. There’s no place in such a construct for self-government. You are a subject not a citizen. Click here to read the entire article at Liberty Blitzkrieg. Posted on April 16, 2019 by lvassemblyPosted in Current Events, InformationalTagged arrest, civilization, julian assange, liberty, liberty blitzkrieg, michael krieger, wikileaks. Benton County Commissioners are publicly showing their opposition to Initiative 1639. On Tuesday [April 2, 2019], commissioners unanimously approved a resolution that supports Sheriff Jerry Hatcher’s opposition to the initiative, which imposes strict gun regulations statewide. The resolution is meant to “recognize the right of citizens of Benton County to self-defense with the legal and constitutional right to lawfully purchase, own and possess firearms as permitted under the federal and state constitutions,” according to a news release. Sheriff Hatcher was one of more than a dozen sheriffs across the state who have said they will not enforce I-1639, claiming that the legislation violates citizens’ Second Amendment right to bear arms. Commissioner Shon Small told KAPP-KVEW the resolution is meant to send a message to the community on where he and his fellow county leaders stand on the matter. “The bottom line is that we believe in our citizens of Benton County, we believe in our sheriff, we’re going to support our sheriff and any kind of law enforcement action that he’s planning on doing, specifically toward 1639,” said Small. Franklin County Commissioners passed a similar resolution in January in support of Franklin County Sheriff Jim Raymond. Posted on April 11, 2019 by lvassemblyPosted in community, InformationalTagged article 1 section 24, benton county, gun control, i-1639, second amendment. Dr. Alton at Doom and Bloom Medicine has a short article and video dealing with Tactical Combat Casualty Care. You may have heard me reference something called “TCCC” in previous articles, podcasts, or videos. TCCC, sometimes called T3C or T triple C, is a term that means Tactical Combat Casualty Care. It represents the recommendations with regards to prehospital care of soldiers who have incurred traumatic injuries on the battlefield. Established in the mid-1990s, TCCC guidelines have become so widely accepted that many law enforcement and civilian medical personnel have adopted them. Posted on April 10, 2019 by lvassemblyPosted in InformationalTagged Alton, doom and bloom, first aid, medicine, tactical, tccc, trauma. JC Dodge has an article up at American Partisan about keeping your batteries for various important devices charged up when you can’t just plug in an AC adapter –Making The “Lightning” For Your Force Multipliers. Charging the large fold up solar unit on top of my pack in the field. Since the 90’s, I’ve carried a small solar charger for AA batteries in my kit. This was for keeping certain devices I had, like flashlights and PVS-7 NOD’s, operating in the field when there was no chance to get new batteries or charge the rechargeables I had on household 110 system. I started using CR123 batteries in the early 2000’s when I bought an IR laser that used a single 123 battery, and shortly after, I upgraded my weapons light to a two celled, CR123 powered, Surefire. The use of CR123 batteries put a gap in my preps because, at that time, no one was selling 123 rechargeables. Oh well, guess when they’re done, the IR laser and Surefire is done, right? I made sure I bought a lot of CR123’s for storage. Back in 2013 I found CR123 rechargeables that were made by a company called Tenergy, and I’ve been using them ever since. The caveat to using Tenergy 123’s is that their charge is a little higher than a normal CR123’s 3.2 Volts and two together will burn out a standard Surefire bulb immediately upon hitting the switch (ask me how I know…). No problem, I also ordered some programmable bulbs for my lights and I was back in business. Click here to read the rest of the story at American Partisan. Posted on April 8, 2019 April 8, 2019 by lvassemblyPosted in InformationalTagged american partisan, batteries, charging, devices, fieldcraft, jc dodge. as well as other ham radio operators, herbalists, survivors, precious metal investors, beekeepers, and government emergency management planners. Posted on April 8, 2019 April 14, 2019 by lvassemblyPosted in Preparedness ExpoTagged amrron, class, combat studies group, education, emp, expo, john jacob schmidt, kaery concealed, patrice lewis, preparedness, prepper, radio free redoubt, ranger rick, rural revolution, speaker, strategic landscape design, vendor. Sam Culper of Forward Observer has a short video he recently posted, talking about what intelligence is and how it helps you make decisions. If you haven’t already thought about these things, then this a good introduction to the topic. If you’ve taken one of his classes or read his book, then it may be nothing new to you. In an SHTF situation, we’ll be forced to make decisions. Some of them may be time-sensitive. Any fool can make decisions, but we want to make well-informed decisions. That means we need intelligence. Posted on April 2, 2019 April 2, 2019 by lvassemblyPosted in InformationalTagged assumption, decision-making, forward observer, intelligence, left of bang, sam culper, shtf. Dialtone: Are You Wearing a “Wire”? Dialtone has a quick tip on how to stealthily gain some signals intelligence about your local RF neighborhood – Are you wearing a “wire”? Quick and easy. Simple and stealthy. Just a Binding post to BNC connector. Add ear buds and drop the radio in a bag. Run close call and survey the RF landscape around you with no one even knowing. Don’t over think it. Just take a walk around and see what you get. See the SIGINT for Everyone article for more information and article links on collecting radio frequency information. Posted on March 29, 2019 April 17, 2019 by lvassemblyPosted in InformationalTagged comint, dialtone, intercept, low budget, radio, rf, scanner, sigint. A free essential oils class by Bodies Outside the Box will be held at Columbia Crest Winery on Saturday, Apr. 6th from 10:00 am – 12:00 noon and again from 2:00 pm – 4:00 pm. Join us for a complimentary glass of wine and learn how using essential oils can be a safe, natural option to protect and maintain you and your family’s health. – Learn how to use essential oils safely and effectively. – Sample and experience the purity and potency of dōTERRA essential oils. – Learn how essential oils are empowering families to maintain health in a natural way. Posted on March 28, 2019 March 28, 2019 by lvassemblyPosted in TrainingTagged bodies outside the box, columbia crest, essential oils. The Organic Prepper has an article up detailing something that I have noticed before, how during disasters here in America there are frequently reports and news articles of looting and violence, but then later, after the disaster has passed, all the articles are about how wonderfully everyone worked together and that there was no looting, panicking, violence, etc. Are the initial reports wrong? Sensationalized? Misleading? (But there was video…) Here is an excerpt from The Disaster Myth Narrative: No One Panics, No One Loots, No One Goes Hungry. I was recently doing some research about the aftermath of some natural disasters that took place here in America. I was shocked to find that the articles I was looking for – ones that I had read in the past – were pretty hard to find, but articles refuting the sought-for pieces were rampant. Not just one event, but every single crisis aftermath that I looked up, had articles that were written after the fact stating in no uncertain terms that the hunger, chaos, and unrest never happened. Apparently we, the preparedness community, are all wrong when it comes to the belief that after a disaster, chaos erupts and civic disorder is the rule of the day. According to “experts” it never happens. According to newspaper articles written after Superstorm Sandy devastated the East Coast and after Hurricane Katrina caused countless billions in damage in New Orleans, people were calm, benevolent and peaceful. Heck, they were all standing around singing Kumbayah around a campfire, sharing their canned goods, calming frightened puppies, and helping the elderly. People do not panic after a disaster – instead, they pull together. The official government response is always speedy and appropriate. You will be taken care of if you simply comply peacefully with authorities. There is little increase in post-disaster crime. Looting? Only hungry people getting food from unmanned stores. Who wouldn’t do that? Click here to read the entire article at The Organic Prepper. Posted on March 27, 2019 March 27, 2019 by lvassemblyPosted in InformationalTagged disaster, history, katrina, looting, mayhem, myth, organic prepper, preparedness, revision, sandy. The portable generator can leak gasoline from the fuel valve, posing fire and burn hazards. American Honda toll-free at 888-888-3139 from 8:30 a.m. to 7 p.m. ET Monday through Friday or online at https://powerequipment.honda.com/ and click on “Recalls and Updates” at the bottom of the page for more information. Consumers should immediately stop using the recalled generators and contact a local authorized Honda Power Equipment service dealer to schedule a free repair. Honda is contacting all known purchasers directly. Honda has received 19 reports of fuel leaking from the fuel valve. No injuries have been reported. Authorized Honda Power Equipment Dealers and The Home Depot and other home improvement stores nationwide and online from February 2018 through February 2019 for about $1,100 to $1,300. American Honda Motor Company Inc., of Torrance, Calif.
Posted on March 27, 2019 March 27, 2019 by lvassemblyPosted in InformationalTagged 19-088, 2200, generator, honda, recall. The Tri-Cities Self Reliance group is holding a public meeting on Thursday, March 28, 2019 from 6:30 to 8:30 pm. TIME: 6:30 p.m. to 8:30 p.m.
Delores Beyersdorf has been a biological farmer for 42 years, plus 10 years of gardening and now farms in Benton City. She has transformed farms from conven-tional farms to biological farms in various locations of Washington State. She raises goats, cattle, fruits, veg-etables and many plants including NON-GMO alfalfa hay. She enjoys sharing how to improve the health of the soil through balancing minerals and microbes; disease and insects are the result of improper soil nutrition. Healthy soil equates to healthy food. Delores will be teaching us the basics of healthy soil, amendments (minerals & microbes), amendment sources, soil testing, and how to analyze test results. Posted on March 26, 2019 by lvassemblyPosted in communityTagged dolores beyersdorf, gardening, island view worship center, soil, tri-city self reliance. Articles posted on this website are meant to provoke thought among the community and membership. These articles do not represent endorsement by the Lower Valley Assembly. Articles which do represent an official LVA position will be noted as such in the title or body of the post. Why didn’t the death penalty bill see the House floor?